Crude oil prices clinched fresh 4-year tops beyond the $72.00 mark. 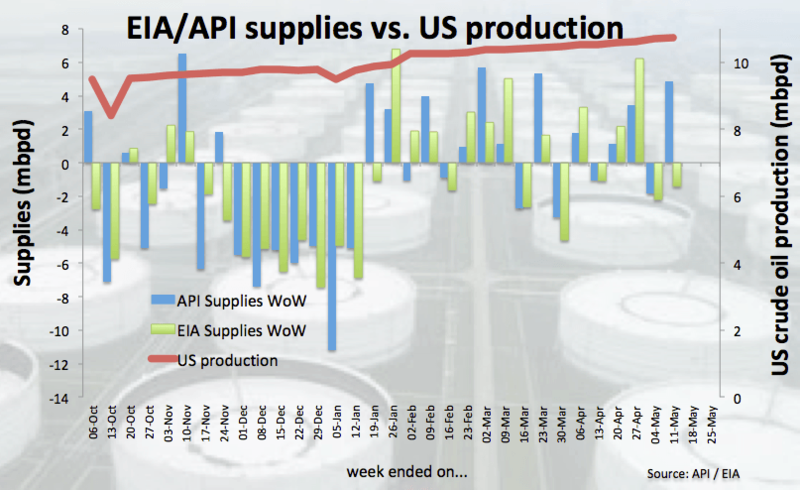 Recent decrease in US crude oil supplies help with the upside. IEA revised lower its outlook for global oil demand for 2018. Prices of the West Texas Intermediate climbed today to the highest level in the last for years above the $72.00 mark per barrel, albeit losing some ground afterwards. Prices of the barrel of the American benchmark for the sweet light crude oil have recorded fresh tops in the $72.30 region earlier in the day – levels last traded in November 2014 – on the back of the continuation of the optimism around declining US crude oil supplies, as per the latest weekly report by the EIA (Wednesday). Collaborating with the upbeat sentiment among traders, the likelihood of US sanctions against Iran keep the prospect of a tighter market in the next months well and sound. On the other side, the IEA has revised lower its forecasts for global oil demand for the current year to 1.4 mbpd drom 1.5 mbpd. Moving forward to Friday, driller Baker Hughes will report on the US oil rig count. At the moment the barrel of WTI is up 0.49% at $71.89 and a surpass of $72.30 (2018 high May 17) would open the door to $73.00 (psychological level) and then $77.77 (high Nov.21 2014). On the other hand, a breach of $70.89 (10-day sma) would aim for $69.46 (21-day sma) and finally $66.86 (low May 1).